This is not the first time I’ve featured a bike from Rhode Island framebuilder Brian Chapman. 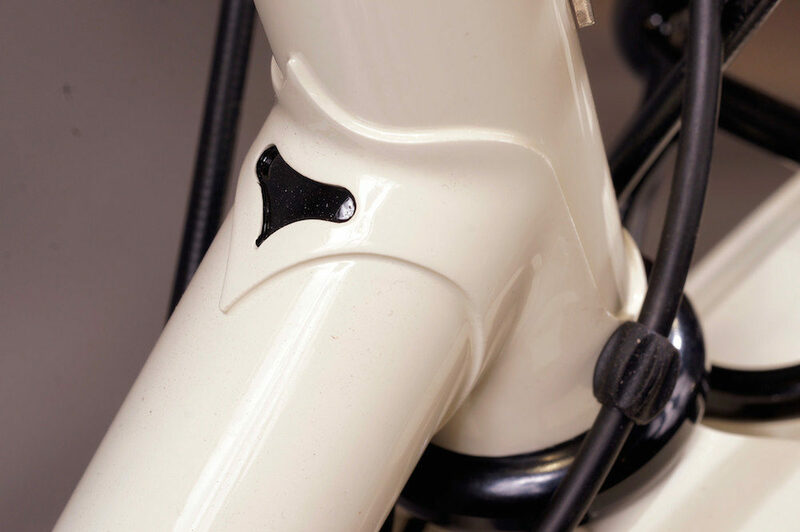 With smooth fillet brazing, neat lugs, custom made racks and classic colourways – it’s hard not to appreciate the work that goes into these builds. Today we’ll take a close look at Brian’s latest work, a custom Chapman Cycles touring bike that does a great job of blending modern tech with the classic styling of the past. We can start up the front of the bike where one of Brian’s custom fillet brazed racks is fitted. 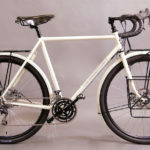 Designed to fit both a randonneur-style bag up top, and a set of front panniers below – this touring bike is ready for short and long haul trips. And should the pannier section not be needed it’s detachable too. A dynamo light mount extends out front to provide a nice unobscured beam on the road, a Schmidt Edelux II putting out almost 100 lux light. 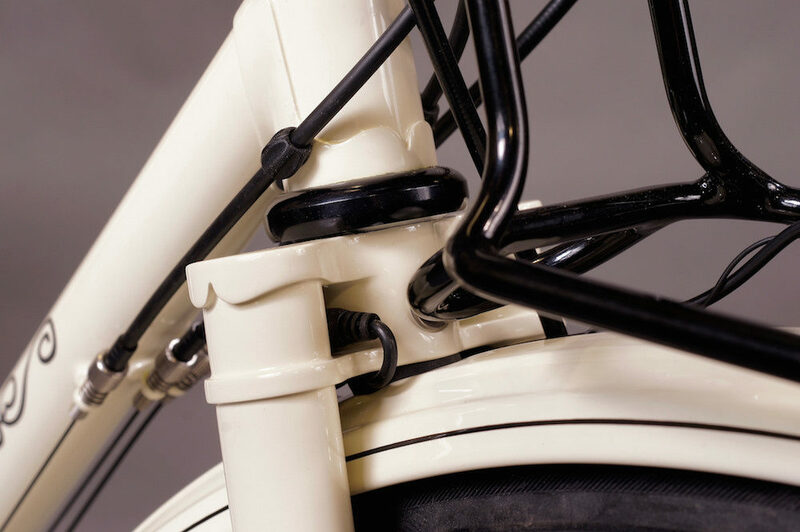 Brian has made the most out of the Cinelli tandem crown by fitting some of the electronics inside it. All you can see is the B&M connector ready for a USB charging cable, but inside the 1″ steerer tube is a custom charging setup thanks to the crew at Sinewave Cycles. This allows for 3 watts of power at 20km/h, enough to charge a phone in a couple of hours. Brian found that a rubber Lezyne pump cover is a perfect fit for the B&M connector too. 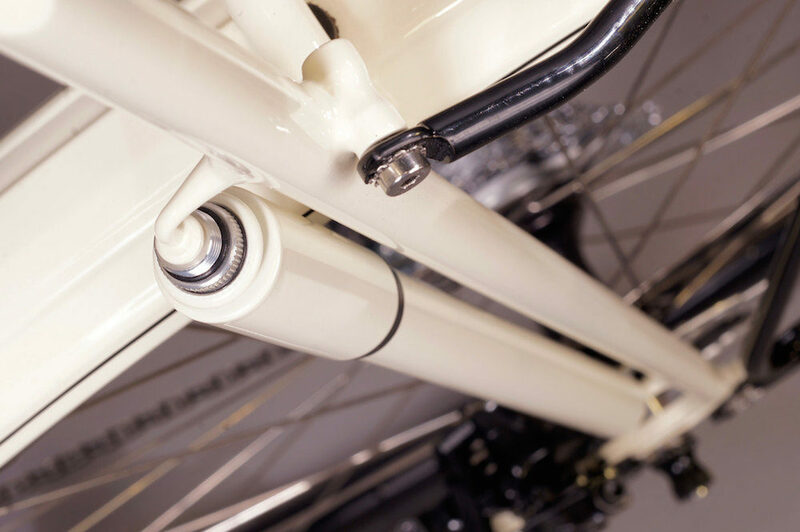 Brian’s bikes are often lugged and brazed – this bike is no exception with Richard Sachs Issimo lugs. Not only does this style of construction look stunning, but it allows for extra paint detail should the customer request it. There’s nice paint detail at the seat tube and top tube intersection, and just the right amount of pinstriping for the length of the fenders. 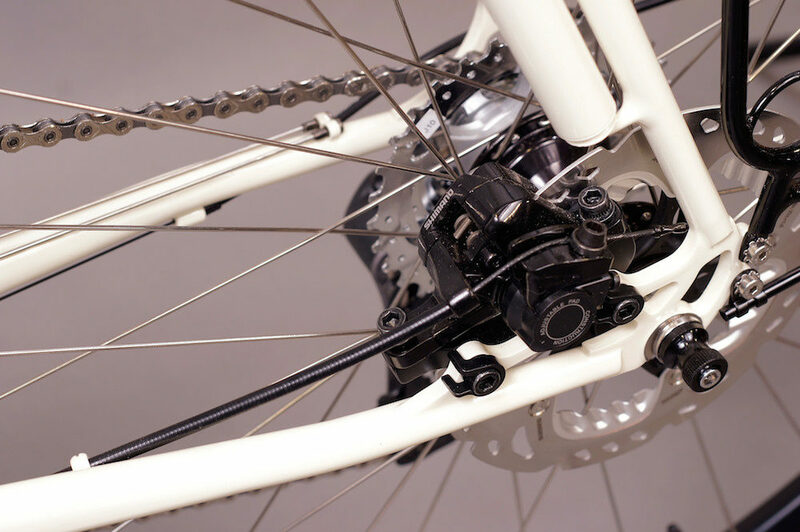 On the non-driveside seatstay sits a large Lezyne Road Drive pump that has been colour-matched to the rest of the frame. This setup looks classic and offers a practical location for a hand pump that will actually get to the appropriate tyre pressures. You’ll notice that a twin spoke holder is brazed onto the driveside chainstay to keep some spare spokes. Having the spokes mounted to your bike is certainly a better solution than damaging them in your bags. This particular location was selected as the non-driveside was already occupied by the disc brake caliper and frame pump. 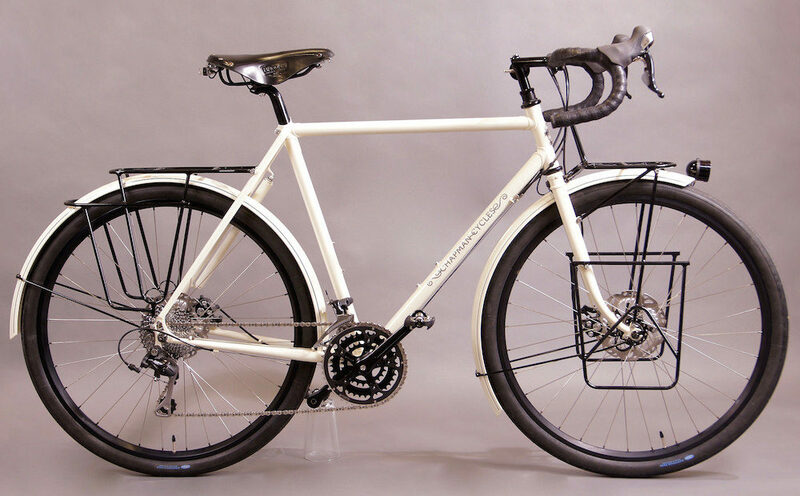 This Chapman Cycles touring bike is finished with a relatively modern Shimano 105 road triple groupset (10-speed) complete with integrated shift/brake levers. 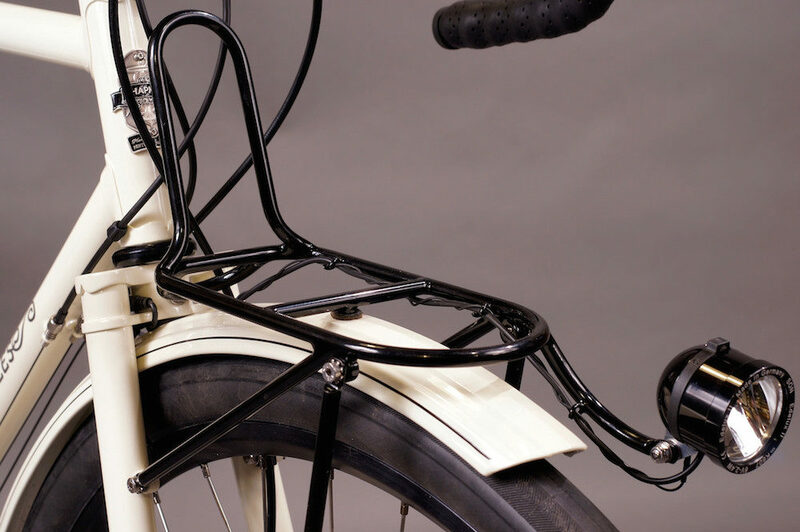 There’s a matching rear rack which is two tiered and hugs the custom-painted metal fenders perfectly. A black Brooks saddle, custom quill stem, Nitto B135 Randonneur bars and set of Compass tyres complete this beautiful build. See More Beautiful Custom Touring Bike Builds Right HERE!